I’m glad you decided to get in touch. 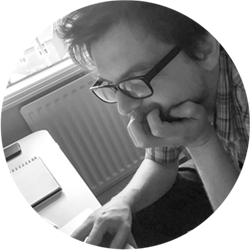 My name’s Mike Clarke and I’ve been a UX / Digital Product Designer for well over 10 years with a focus on making it easier for people to buy from you online. My work has resulted in increased revenue, higher customer satisfaction and industry recognition for my clients. If you want to reach out and connect, regardless of the topic, I’d love to hear from you. The most precious resource we have is time, so thank you for taking a few minutes to look through my work.